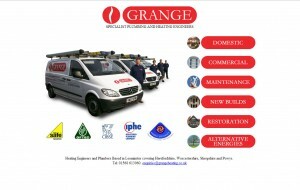 When we created the brand for Grange Heating, they had a rusty old van, a toolbox and worked from home. Created with the owner’s input, the logo represents a clean corporate heating company image. Now they have dedicated premises and a fleet of vans. I’m sure the owner would agree this is largely down to their corporate image. Oh, and some of their hard work.